This is an easy recipe from Relish and would be great to take to a party of kids. It does have pecans it in so you may need to omit them! 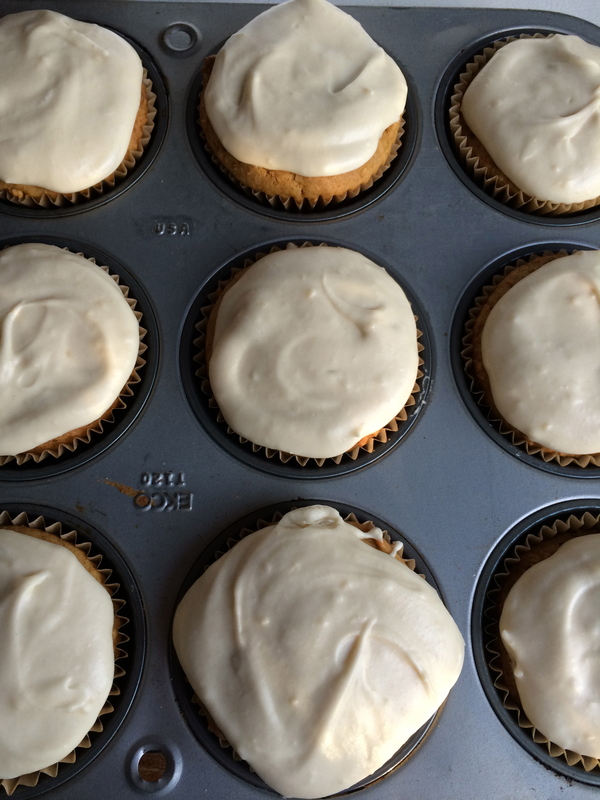 The frosting makes enough for two batches and is delicious! Preheat oven to 375F. Place 24 paper muffin cup liners in muffin cups.